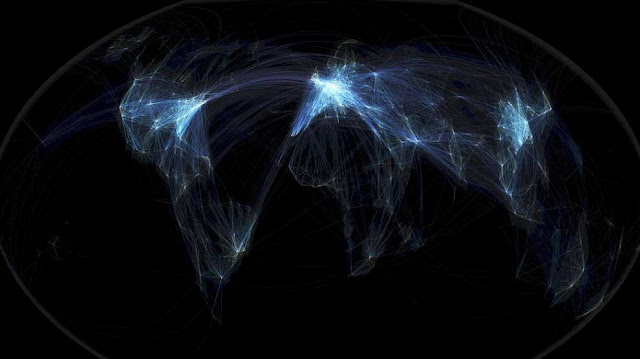 Michael Markieta, from engineering firm Arup, has represented graphically air traffic around the world, from China to North America and from Europe to Australia. The bright spots indicate the airports where is concentrated the majority of flights. Check out his website.